Peak Resorts, owner of Attitash, Crotched, Mount Snow, and Wildcat, released its quarterly earnings yesterday, giving one of the first glimpses of the staggering impact the 2015-16 winter has had on New England ski areas. The company's third quarter earnings, spanning November, December, and January, declined by 16 percent over the same period in 2014-15, even after the addition of a new ski area. In the past two fiscal years, Peak Resorts has averaged $105 million in revenue. On January 7, 2016, Peak Resorts acquired Hunter Mountain in New York, which averages $27 million in revenue. Despite this acquisition, Peak Resorts is now forecasting its full year revenue to decline to $92 million to $94 million, a drop of 10 to 12 percent. With the $36.8 million acquisition of Hunter Mountain complete, the company's long term debt has increased from $98.4 million last January to $118.1 million at the end of January 2016. In addition, a $15 million line of credit was used for the purchase. $52 million in EB-5 funds are being held in escrow, awaiting longer than expected government approvals. The funds are to be used on projects at Mount Snow, such as the forthcoming West Lake snowmaking reservoir. The company's declining cash balance may impact dividends, as, "[t]he slower-than-expected timeline for approval of our EB-5 project has resulted in cash balances that are lower than we had anticipated. Our board of directors, while committed to the dividend as a means of rewarding shareholders, is closely monitoring the EB-5 project status and continually evaluating the first dividend for fiscal 2017 in that context." The company reported a free cash balance of $11.4 million, a 45% year to year decline. Its most recent quarterly dividend of $0.1375 per share was issued on February 24, at a total cost of $1.9 million. 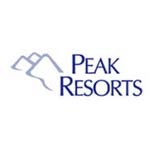 Peak Resorts stock (NASDAQ: SKIS) is currently trading at $3.12 per share, a sharp drop from its $9 per share initial public offering 16 months ago.